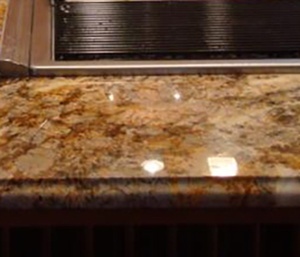 American Stone Edge installs granite, marble, quartz, onyx, and travertine surfaces for an array of home and office purposes. Natural stone is the best choice for your home or office because it’s beautiful, durable, and will outlast all manmade materials. Natural stone requires very little maintenance. 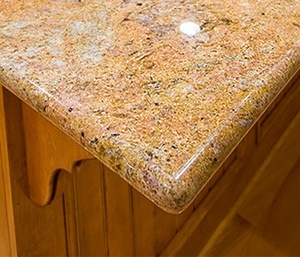 We recommend sealing granite, marble, and travertine countertops every six months to help them resist stains from dirt and spills. 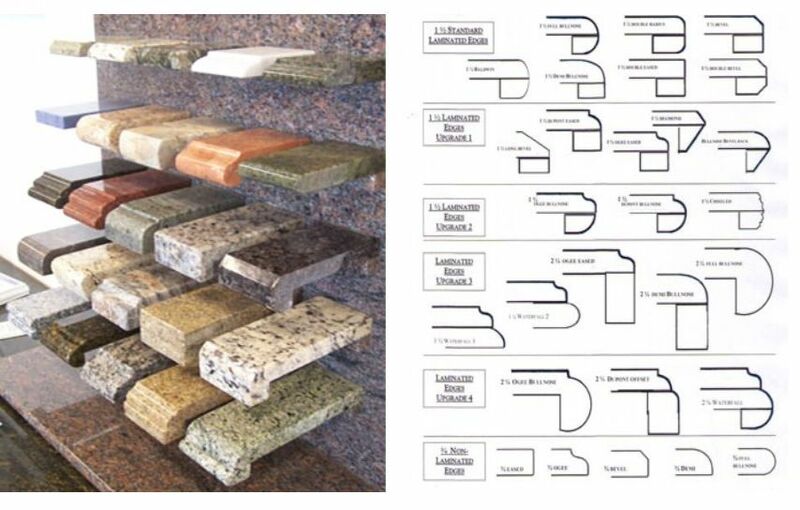 Picking a piece of stone is a subjective process and every bundle of stone is different. Some people like the look of irregular patterns and blotches while others prefer a more uniform, traditional look. 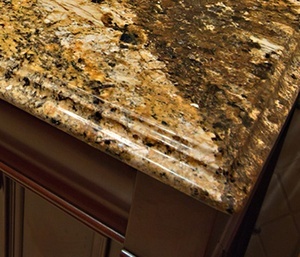 Granite is highly durable and can withstand high temperatures and lots of wear. 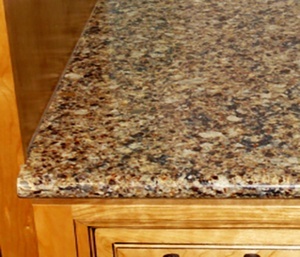 We recommend granite countertops for all rooms especially kitchens because of its beauty and scratch resistant properties. Marble contains beautiful patterns and striations. It is sometimes used for kitchen countertops but it does scratch fairly easily so we recommend it for bathrooms and all decorative purposes. Common marble installations include vanities, fireplace surrounds, and hearths. Quartz is engineered from crystals and resin and has several properties that make it preferential to natural stone. It is bacteria and stain-resistant, nonporous, and easy to clean. Travertine is a very durable stone commonly used for countertops, wall cladding, flooring, showers, and bathroom interiors. It is a porous stone that needs to be sealed every six months. 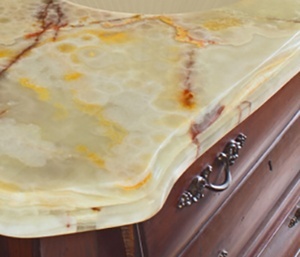 Onyx is a beautiful, translucent stone that is great for decorative purposes but rarely installed in kitchens or any other spot where it can be easily scratched or stained. It is common to install onyx with a backlight that highlights its swirling patterns with an enchanting orange glow.